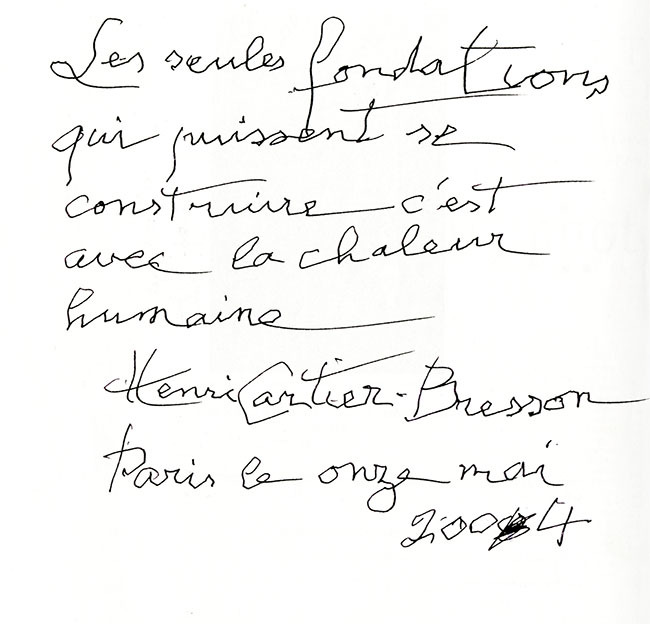 Established by Henri Cartier-Bresson, his wife Martine Franck, and their daughter Mélanie, the Henri Cartier-Bresson Foundation opened its doors in May 2003. It now preserves Henri Cartier-Bresson and Martine Franck’s archives. Privately owned and recognized as being of public interest, the Foundation is now one of the most prestigious institutions in Paris. To preserve the independence and legacy of Henri Cartier-Bresson and Martine Franck’s work. To retain an exceptional body of work in France. To show – via exhibitions – the “highlights” of the collection and the work of other photographers, painters, sculptors, and illustrators. To enable researchers to carry out their studies with more ease. To provide support to new photographic projects by organizing, every two years, the HCB Award with an international jury.